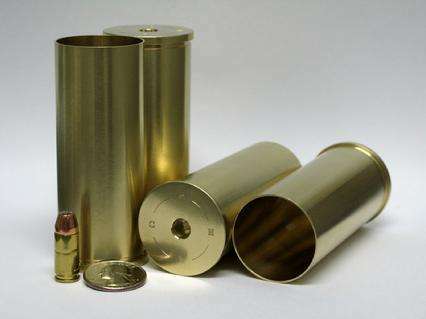 True 2-Bore brass cartridge cases. CNC machined, high precision, heavy duty design for black powder rifles. Shipped "as machined" unannealed and unprimed ten per box. Not available loaded or loaded inert.